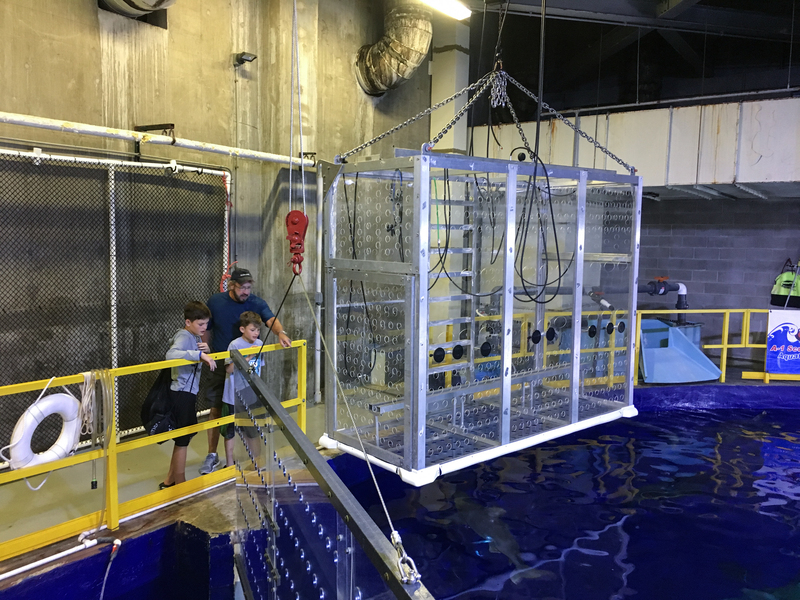 The Downtown Aquarium/A-1 Shark Cage Experience is the perfect opportunity to get an up-close panoramic view of an amazing 400,000 gallon exhibit with a large variety of cool critters including: Five varieties of sharks, 14-foot long sawfish, giant barracudas, sea turtles and more. The best part……. you don’t have to be a certified diver to participate in this remarkable adventure! One of our A-1 guides will help fit you with the proper equipment, brief you on the basics of breathing from a surface-supplied regulator and guide you into a large underwater cage in the “Shipwreck” exhibit, for an adventure of a lifetime! Important: Please bring shoes (Keens, flip-flops, water shoes, etc) to wear on the wet deck. Sorry, no bare feet allowed. Coupon for a FREE appetizer at the aquarium restaurant with the purchase of entrée. One coupon per table per visit. 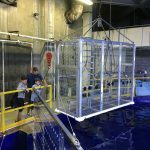 Reserve the Shark Cage for your group (up to 5 people) $750. Call A-1 Scuba & Travel Aquatics Center at 303 789-2450 to reserve. Larger groups can be accommodated, please call for details. VERY IMPORTANT: We will do our very best to accommodate those with special needs. In some situations this may necessitate trained assistants. Therefore, please contact us in advance if you, or someone you know who will be participating in the Cage Dive, will need assistance. For special needs questions, please call (303) 789-2450.